OUTLOOK: Facebook to fly Wi-Fi drones above the Earth!!!! Google has its Project Loon balloons for beaming Internet to Earthlings and now Facebook is planning to test drones which will be able to do the same. The company will carry out tests to check the feasibility of hosting Wi-Fi hotspots in the sky in 2015. The social network’s Mark Zuckerberg has announced it to be part of the efforts of Internet.org to connect the entire population across the world to the web. Apart from the flying Wi-Fi drones, there will be satellites and infrared lasers too which will be built to provide Internet to all. Yes, ladies and gentlemen, the future is going to be very exciting indeed. It’s a noble effort to try and get everyone online so they have access to the vast amount of information the infinite virtual spaces hold, and also to Facebook. Of course, issues such as the costs, benefits and capabilities of beaming Wi-Fi from high up in the air come into consideration here. This is why the Facebook-backed organization has chosen not to stick with a single solution, unlike Google and its balloons. So going with invisible laser beams using light to transmit data through space is another option. While talking about the reasoning behind using drones, Zuckerberg makes it a point to note that precise control over the location of these aircraft, unlike balloons, will be possible. 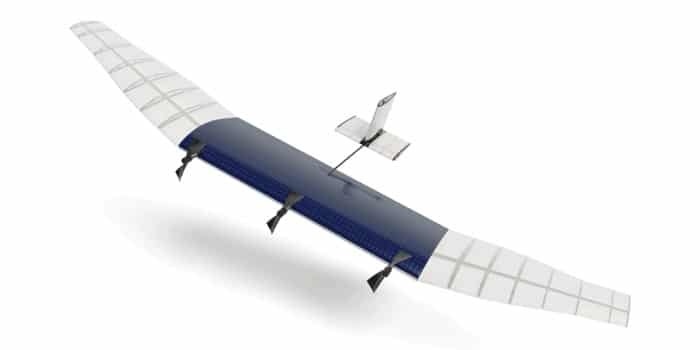 The guys behind the world’s longest flying solar-powered unmanned craft called Zephyr, will be joining the Facebook Connectivity Lab to work on the upcoming project. With regards to Google’s lofty ambitions, it’s busy planning a ring of balloons to fly 20km above the Earth’s surface and provide Internet access to everyone on the ground. Maybe we’re being too skeptical about the search giant’s concept, but Facebook’s Internet beaming drones sound more achievable.